Metrotalk Inc. is a commercial two-way radio company serving the Washington DC, Northern Virginia and Maryland market. We began in 1999 as a two way radio rental company. Since then, we have grown to also include a full line of commercial two way radios for those customers that would rather purchase. We are authorized dealers for Hytera and Harris-Tait products; three of the best two way radio companies in the world. Offering products from these companies allows us to always have available the best option. Due to the compatibility of their products and technology, we can design a two way radio system to fit the needs and budget of our customers, without compromising the system capabilities. Hytera is an innovative company that provides a complete line of DMR Digital, TETRA and analog commercial and professional two way radios. 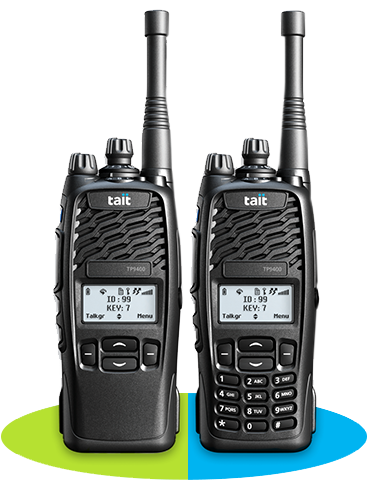 Tait, a company that manufactures one of the toughest commercial, Public Safety P25 and DMR two way radios in the world. They prove it by dropping the radio from 6 feet to a concrete floor 26 times and then placing it in 3 feet of water for 30 minutes. The same radio is then tested to guarantee it meets all the requirements it was designed to meet. The constant search for the best solution to our rental customers’ needs has led us to introduce new products. We not only offer two way radios and repeaters but also Verizon PTT and Satellite phones for those that need to communicate from far and very far away. If you need a basic radio, a digital DMR radio, a public safety P25 Phase I/II radio and the repeaters that make them work, we have the product. We look at your two way radio needs not from a local perspective, but from a global view. When you purchase or rent from us you will have a two way radio solution that will grow with you. No longer will your two way radio system be rendered obsolete just because you move into another building or another city. We are committed to finding the perfect solution for your two-way radio needs. We understand that picking the right product can be a daunting task. If you don’t know where to start, feel free to contact us.